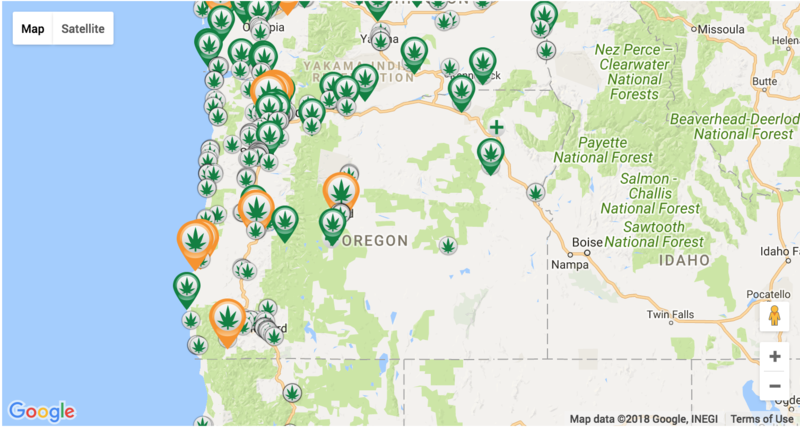 This resource is for finding the closest legal recreational weed shop to you in Oregon. On July 28th, Governor Kate Brown signed SB 460! This bill drafted by the Oregon House and Senate allows retail shops to sell to anyone over the age of 21 starting Thursday, October 1st, 2015. You can now buy Marijuana products at any state licensed Cannabis shop! Also, don’t forget to visit a lounge and stay with a marijuana friendly lodging partner during your visit to Oregon!